Fourth, previously, an attorney had to maintain a “bona fide office.” One of the main purposes for this rule was to require attorneys to be reachable by their clients. However, the revisions make this rule significantly more flexible. The revisions provide that an attorney need not maintain a fixed physical location for her practice, but must structure her practice so that she can provide prompt and reliable communications with her clients, other counsel and the courts. However, the attorney still needs to designate at least one fixed physical location where deliveries can be received, process can be served, and documents can be inspected. Yet the revisions also allow the attorney to provide for prompt and reliable communication through a staffed telephone service, voicemail, or other effective means. (Rule 1:21-1.) These revisions have likewise been reflected in the Rules of Professional Conduct requiring attorneys to maintain a “bona fide” office. The Supreme Court has also adopted revisions scheduled to take effect January 1, 2014. Those include the revision that the Court may, in its discretion, submit a copy of its jury instructions for the jury to consider in the jury room. 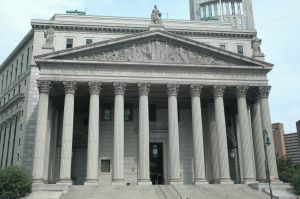 In making this determination, the court may consider requests from the parties for the jury to receive a copy of the instructions, the length of the trial, the complexity of the issues and instructions, the track assignment of the case, the timeliness of the parties’ submissions of proposed instructions, any delays that it may cause, and any other relevant considerations depending on the circumstances of the case. While there are several other revisions to the rules governing New Jersey’s courts, they are for the most part concerned with the specialized areas of family and criminal court matters. McLaughlin & Nardi’s attorneys are well versed in the rules governing the courts of New Jersey and in litigating a wide range of civil matters. To learn more about what we can do to help, please visit our website, or contact one of our New Jersey lawyers by e-mail or telephone at (973) 890-0004.